David’s at loose ends this summer and likes it that way, hoping to goof off until school starts in the fall. With his mom pushing, it doesn’t work out that way, however. If you enjoy reading this story, please let me know! Authors thrive by the feedback they receive from readers. It's easy: just click on the email link at the bottom of this page to send me a message. 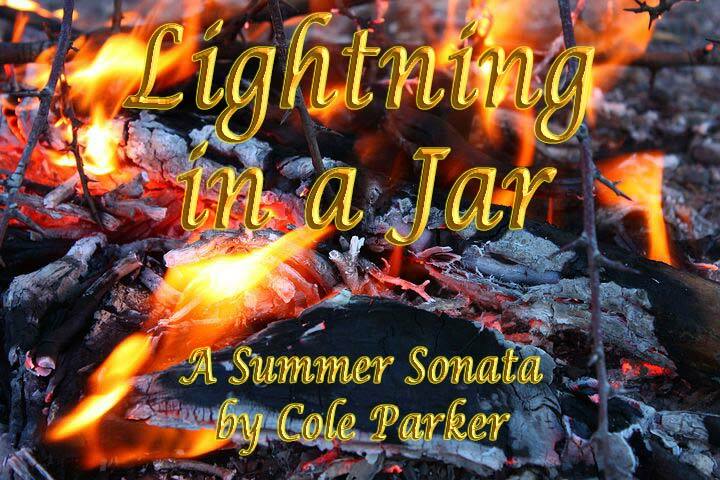 Say “Hi” and tell me what you think about ‘Lightning in a Jar’ — Thanks! This story is Copyright © 2016-2019 by Cole Parker. The image is Copyright © 2019 by Colin Kelly. They cannot be reproduced without express written consent. Codey's World web site has written permission to publish this story. No other rights are granted. The original image is Under the Terms of the Creative Commons License CC0 by pixabay.com #56677. This story contains references to minors who are or may be gay. If it were a movie, it would be rated PG (in a more enlightened time it would be rated G). If reading this type of material is illegal where you live, or if you are too young to read this type of material based on the laws where you live, or if your parents don't want you to read this type of material, or if you find this type of material morally or otherwise objectionable, or if you don’t want to be here, close your browser now. The author neither condones nor advocates the violation of any laws. If you want to be here, but aren’t supposed to be here, be careful and don't get caught!